Includes Left Hand Writing Skills Book 1 (Lower case letters and numbers), Writewell Mat (For right-handers on one side and left-handers on the reverse! 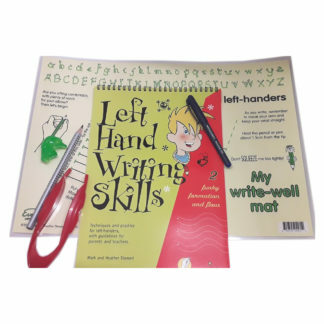 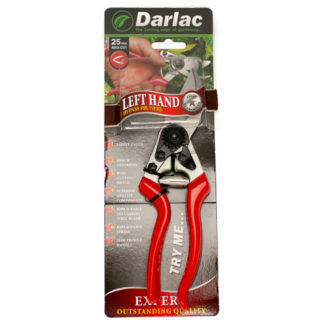 ), Large Tweezers, Grotto grip, and Jumbo Grip triangular pencil. 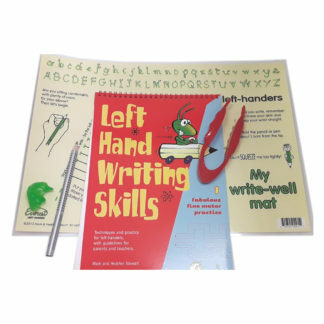 Perfect for ensuring the correct dynamic tripod pencil grip and position, while learning the correct letter formation and direction. 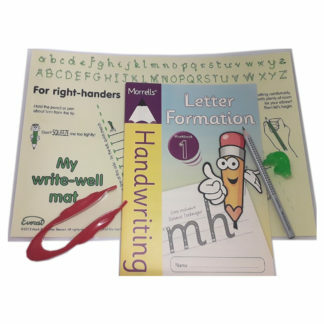 The book and mats shows specific letter formation for the left-handed child and a simple technique to overcome smudging and its attendent problems. 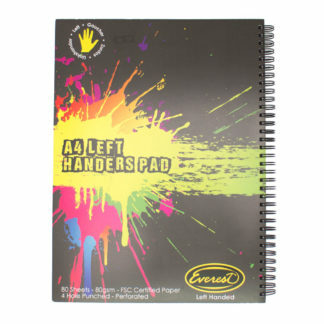 Suitable for Key Stage 1 and 2. 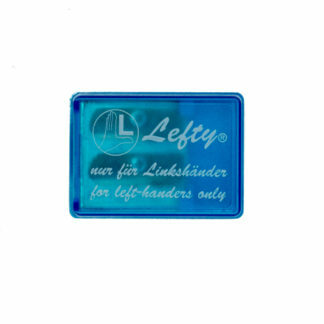 If you have a preference of colour of the Writewell mat (Blue, Yellow Green, Pink or Cream) or prefer specific tweezers (Red,Orange, Green, Yellow, Purple or Blue), or Grotto grips (Pink, Green, Blue, Black, Yellow or Purple) please email your preferences to info@leftshoponline.co.uk.